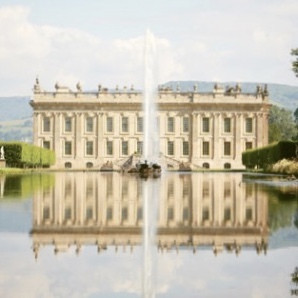 Chatsworth has recently been voted in the top 10 UK visitor attractions by TripAdvisor users. Only 10 miles away from Hayloft and Byre holiday cottages, it is well worth a visit. 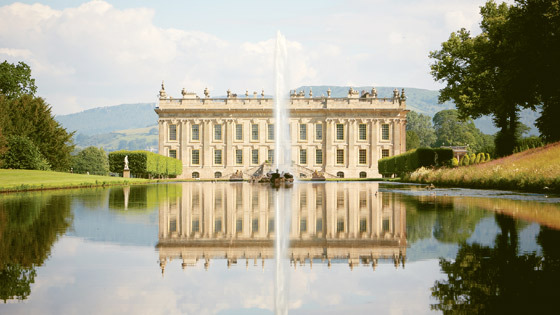 Here are a few lesser known facts about Chatsworth and its estate. The village of Edensor was originally much closer to Chatsworth House. The Fourth Duke of Devonshire felt that the village spoiled his view so he had the entire village (apart from one house) moved! It is reported that when the Duke was presented with the proposed designs for the new village houses, he could not make up his mind so had one built of each design. Did you know that the Emperor Fountain is a Grade II listed building! The fountain is completely gravity fed. The water flows naturally from the moorland above Chatsworth into the Emperor Lake. Pipework then brings it down the hill to the fountain. It is capable of reaching 90m (290 feet) but is usually “turned down” a bit to save water. There are more than 1,200 yew trees that make up the maze in the Chatsworth Gardens. That is a lot of hedge trimming! Chatsworth has been undergoing a huge project of restoration and conservation in the past few years. 2,200 square metres of stonework has been cleaned, 1.25 tonnes of lime mortar has been used to re-point the facades and 42 windows have been re-gilded with 24 carat gold leaf which look amazing, especially when the gold catches the sunlight!. I have been trying to find out (unsuccessfully) how much gold leaf has been used – perhaps someone can tell me?